A Syrian Catholic priest has been beheaded by jihadist fighters in Syria, it has been claimed. 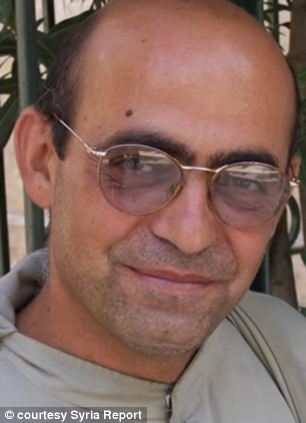 The death of Franciscan Father Francois Murad has been confirmed by the official Vatican news agency. The gruesome killing has raised further concerns about the West arming rebels in the fight against the regime of Syrian President Bashar Assad. Grainy footage purported to show the 49-year-old’s death has been posted on the internet. This past November 9th and 10th marked the seventy-fifth anniversary of Kristallnacht, when mobs attacked properties belonging to Jews in Berlin and other German cities. Synagogues, hospitals and schools were defaced or destroyed, 91 were killed and 30,000 Jews were sent to prototypical concentration camps. It was a bold declaration of the Nazi intent to destroy a people. Many Germans nobly acted with revulsion at what had become of their government. One man symbolic of such was Cardinal Michael von Faulhaber, Archbishop of Munich, who helped the Chief Rabbi of the city rescue the Torah and sacred vessels before his synagogue was attacked. The Nazis ransacked the Cardinal’s own home and threatened him with Dachau. He survived all that, and in 1951 he ordained two young brothers, one of whom would become Pope Benedict XVI. This is not just an historical vignette, for tragic events often repeat themselves in different forms and circumstances when people ignore them, and much of the world in 1938 tried to treat Kristallnacht as an isolated incident with no portent of worse things to come. The sad fact is that our days are witnessing widespread hostility to Jews and Christians alike in many places, and much of the media turns its attention away. This is sometimes because there is an aversion to offending the persecutors, some of whom are assisted by U.S. tax money in the form of foreign aid and military assistance. Sometimes there is just a bias against Judeo-Christian culture on the part of secularists who think that the enemy of their enemy is their friend. Some Western sophisticates cast a blind eye to the rise of Nazism in the 1930’s because the National Socialists explained themselves as enemies of Marxism. The revival of anti-Semitism in Europe today is accompanied by hostility to Christianity, and this is not limited to Europe. Many of our own public institutions deny freedom of speech to Christians, and public professions of faith in Christ receive a hostile reception in significant parts of academe. Christianity is evaporating in the Middle East as Christians are leaving countries where roots go back to the earliest apostolic foundations. The beheading of converts to Christianity hardly seems exceptional anymore. In Iran, Kazakh Christians are intimidated by the arrest of their pastors, and churches are destroyed from Egypt to Pakistan. The recent massacre of Christians in a Kenyan shopping mall could not be overlooked by the secular press, but it was soon forgotten, and there is little outrage at the imprisonment and torture of thousands of Christians in Eritrean desert camps. Countless Christians are being persecuted in odium fidei — hatred of the Faith. Their bravery should humble us who live in calmer places, but it is also a warning that echoes Christ himself: “Everyone will hate you because of me, but the one who stands firm to the end will be saved” (Mark 13:13). This entry was posted in JEWS, MUSLIMS, RELIGIOUS PERSECUTION, SHARIA LAW and tagged Franciscan Father Francois Murad, KRISTALLNACHT, Syria. Bookmark the permalink. Vatican confirmed Francois Murad was shot, not beheaded! !